I've always wondered, what sort of computing power is needed to keep modern commercial and military planes in the air? There are many systems of a modern commercial plane (e.g an Airbus A350), that would need to be automated and controlled by computer, one example that springs to mind is autopilot, another is flight instruments. Similarly I'm assuming that there'd be many systems (e.g fly-by-wire) that need to be controlled by computer in a modern military jet (e.g F-22 Raptor). For commercial airliners: the computing power is set during development and certification of the type. The A320 was developed in the 1980s and still uses Intel 80186 and Motorola 68020 processors. Your i7 CPU would be able to run rings around anything on board of the average airliner. But processing capacity is of secondary importance to airliners, safety and redundancy are in the limelight. Any processor capacity that can do the job is good enough, and is only the start of all the aspects that go into certifying an airliner including its systems. Military planes are different, in that the requirements are more pressing and the accepted risks are higher. 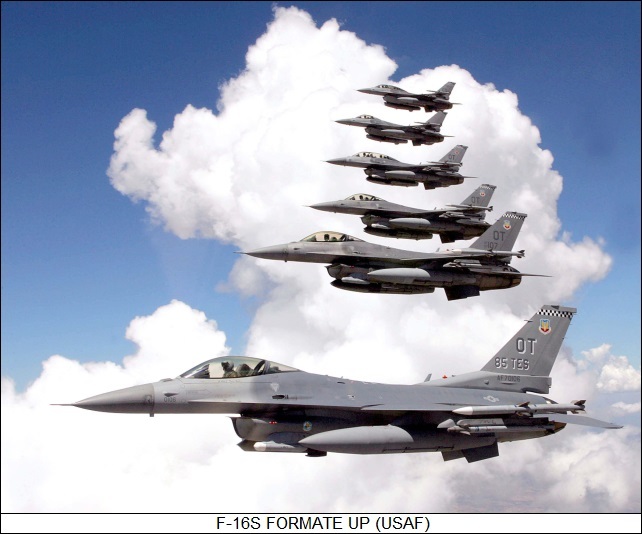 Yes modern fly-by-wire planes use digital systems, however when the F-16 first came out with a fly-by-wire control system, it was a quadruple redundant analog system, with a digital processing requirement of zero. These were upgraded to digital fly-by-wire in the block 40/42 upgrade in the early 90s, so again the fly-by-wire used pretty primitive processors by today's standards. Generalising, the long development and certification/ready-for-mission time of aircraft systems means that any system on board uses processing power that is behind the latest-to-market specs. Flight code is generally not cleverly designed to be efficient, but rather clear and simple, so an optimization rewrite can save some CPU time. If you only have 1 processor, then you have no redundancy to worry about, no need to log faults or data redording since only one thing that can fail, only I/O needed would be directly from sensors and to controls/displays. Leaves you with only the core functions to process. This slims the processor load down by at least half. Get rid of partitioned OS, TAWS, synthetic vision, controls channel b, assume external sensors and controls never fail and maybe, just maybe, you (not me) could fly on a single multi core i7, for some peiod of time. With a current processor power, Flight Management would be more than possible. The mathematical operations in an automatic flight control system are quite simple (matrix multiplication, some transfer functions, some filters) for a cpu of today’s standards. The trick would be to have a robust operating system (real time maybe), and to handle the I/O within the time window required for the control. This answer assumes GPS and INS data are fused in a separate device, and actuator commands are driven through servo actuators. Especially In military aircraft, and also in commercial aircraft several high frequency filters need to be included into the controller, to decouple it from structural modes. This brings in more computational requirements, but would be easily handled by the processor, as long as the necessary data I/O does not choke the processor. Not the answer you're looking for? Browse other questions tagged military commercial-aviation flight-instruments software fly-by-wire or ask your own question. How similar/different are the roles performed by Military and Civil pilots? How much impact can be taken when flying in formation? How much do aileron on a commercial airliner move for manoeuvring and trim? How much hand-flying does a commercial pilot do?